An unprecedented coalition of more than 200 leading figures have joined victims of past press abuse to send a strong message to newspaper bosses: don’t repeat the mistakes of the past – embrace the Leveson Royal Charter and give the British public a free and responsible press. To mark the one-year anniversary of the historic Royal Charter agreement, some of the biggest names in literature, arts, science, academia, design, human rights, business and the law – plus thousands of concerned members of the public – have added their names to a growing Declaration in support of the Royal Charter on press self-regulation. 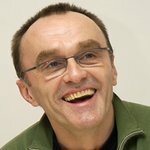 Danny Boyle, JK Rowling, Michael Palin, Sir David Attenborough, Ben Elton, Benedict Cumberbatch, Bianca Jagger, Bryan Adams, David Gilmour, David Tennant, Dawn French, Emma Thompson, Graham Norton, Eric Idle, Guy Ritchie, Hugh Grant, James Blunt, Jo Brand, Joanna Lumley, John Bishop, Maggie Smith, Miranda Hart, Paloma Faith, Peter Capaldi, Richard Branson, Richard Curtis, Russell Brand, Salman Rushdie, Ian McKellen, Stephen Fry, Philip Pullman, Irvine Welsh, Bob Geldof, Ian McEwan, Helen Fielding, John Cleese, Sir Ranulph Fiennes, and Prof Richard Dawkins are amongst hundreds of leading cultural figures calling for British newspapers to accept the Royal Charter. In a series of bold advertisements appearing Tuesday 18 March 2014 in The Guardian, The Independent, The Evening Standard, i, New Statesman, The Spectator and elsewhere, signatories to the Declaration urge newspapers to embrace the Royal Charter system giving vital protection to ordinary people while safeguarding the press from political interference. “We believe that a free press is a cornerstone of democracy. It should be fearless in exposing corruption, holding the powerful to account and championing the powerless. It has nothing to lose, and can only be enhanced, by acknowledging unethical practice in its midst and acting firmly to ensure it is not repeated. “We also believe that editors and journalists will rise in public esteem when they accept a form of self-regulation that is independently audited on the lines recommended by Lord Justice Leveson and laid down in the Royal Charter of 30 October 2013. The Declaration is coordinated and published by Hacked Off, the campaign for a free and accountable press, and is generously funded by members of the public responding to a Hacked Off appeal.